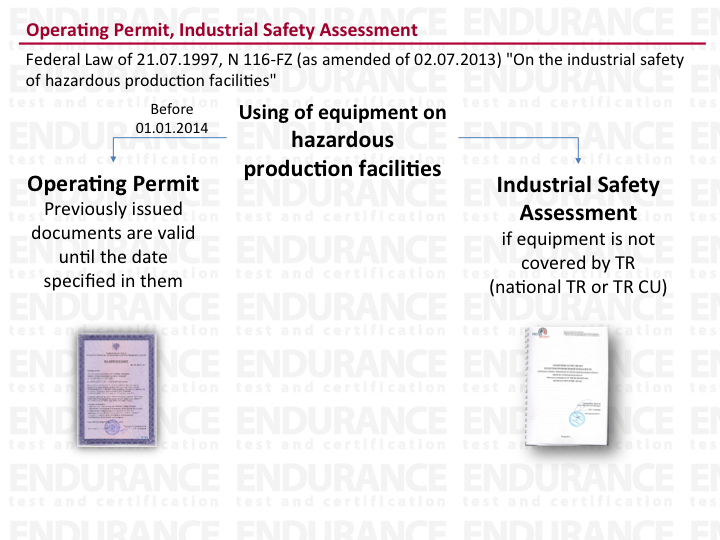 Mandatory requirements for technical devices used at a hazardous production facility and the forms of assessment of their compliance with such mandatory requirements are established in accordance with the Russian Federation law on Technical regulation. (Federal Law of 27.12.2002 № 184-FZ "On Technical Regulation"). - after the work performance related to the change in design, or to the substitution of the material of the bearing elements of this technical device, or after the repair performed as a result of an accident or incident at hazardous production facilities, which resulted in the damage of a technical device. LIST OF EQUIPMENT WHICH NEED OPERATING PERMIT (for territory of Russia). -Technical devices produced for manufacturers’ own needs, which are included in the list of TR CU 010/2011 “On the safety of machines and equipment". 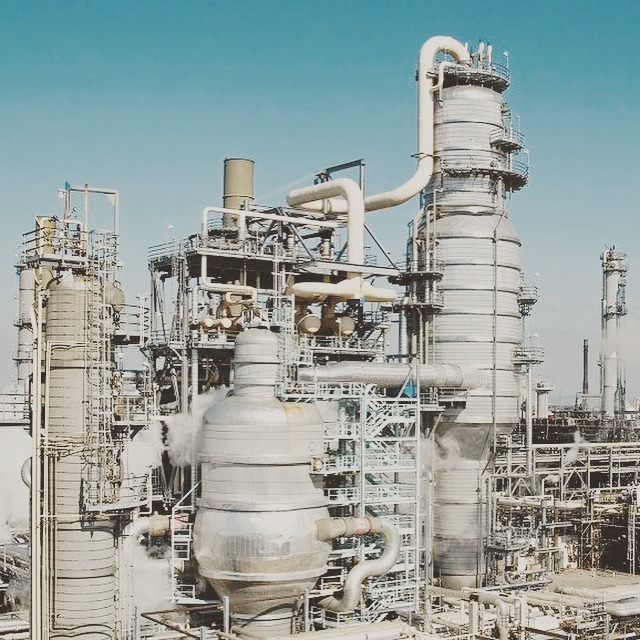 - Components and spare parts for machines and equipment, which are included in the list of TR CU 010/2011 “On the safety of machines and equipment"
- assemblies and blocks of gas pumping stations of trunk gas pipelines, including gas pumping units (excluding vessels). - equipment of semiconductor materials (germanium and silicon). - mechanical seals of rotating shafts of machines and devices. - equipment of tank farms. 9. Equipment for transportation of hazardous goods (tanks, specialized containers), except for vessels working under pressure. 10. Equipment and instruments used in the design, manufacture and storage of explosive materials, and products containing them. Equipment and instruments used in the performance of blasting operations. 11. Equipment for in-line inspection of major pipelines, intra-field and local distribution pipelines designed for the transportation of gas, oil and other products. 12. High-voltage equipment (voltage exceeding 1 kV) for the power supply of hazardous production facilities, including switchgear and transformer substations. 13. Equipment working under pressure, made of non-metallic flexible (elastic) membrane. 14. Equipment for the utilization of gaseous, finely dispersed and liquid emissions and effluents.